Hopefully you have special people in your life who are always there for you with a kind word, a thumbs up and a mischievous wink. I had/have one of those in my friend and mentor Jim Channon, who passed away earlier this month at Artesia his Kona sanctuary. I met Jim back in the mid-90s. 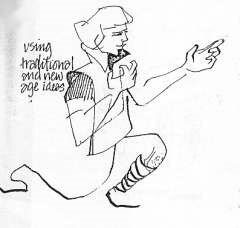 I don’t recall how I met him, perhaps at one of the first International Forum of Visual Practitioners conferences. Or through mutual friends somehow. 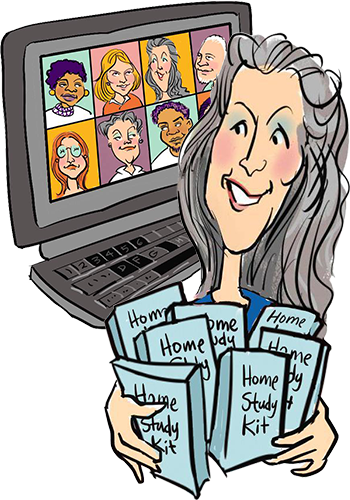 Back then I lived in San Francisco and had just begun my career as a Graphic Recorder, working in David Sibbet’s stable at The Grove Consultants. Several of us visual types went to a Magic Marker Gathering of Jim’s on the Hawaiian island of Molokai. There we were treated to a week of graphic development … sharing visual practices, facilitation, music and deep imaginary explorations. 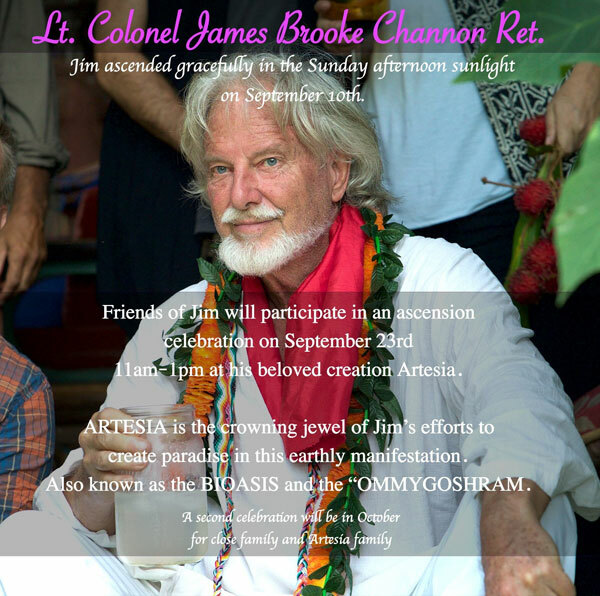 Jim was a master able to work at the personal, group and collective levels on the physical, mental, emotional and spiritual realms. For a wet behind the ears Graphic Recorder, it was HEAVEN and much of it over my head (took me decades to understand what he was laying down). 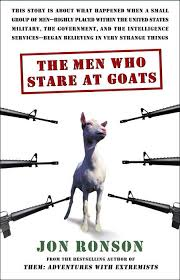 Jim was already notorious to those who knew and worked with him … however in 2004 the bestselling author, Jon Ronson, wrote a book about his exploits in the U.S. Army called “Men Who Stare at Goats”. It was later made into a romp of a film starring George Clooney and Jeff Bridges (his character was based on Jim). After his Molokai Retreat, Jim and I kept in touch for 20+ years, right up until his sudden death (I will cherish our last, very symbolic interchange, my friend). With the advent of Facebook our correspondence became a regular fixture in my life. He was always there to give a thumbs up on my posted work and to send a private message with encouragement and the occasional prompt (he thought I played it much too safe on FB and should show more of my wide ranging interests and aptitudes … OK Jim, I’ll do better on that). Besides being a visual mentor (he was a pioneer in working visually with corporate and governmental clients) he was also a mentor in Energy Work. The military has a long history of interest in ‘subtle radar’ and Jim’s First Earth Battalion Operations Manual and New Earth Army were underground classics that continue to influence many to this day. When my kundalini rising and its related paranormal events happened, Jim was a supportive and informed source to turn to for advice and guidance. 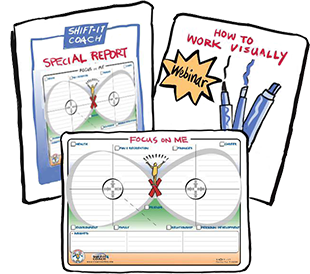 As I mentioned in a recent webinar for my Visual Coaches, he was also REALLY supportive of Visual Coaching, SHIFT-IT and my instructional work of getting visual and energy skills into Process Professionals who work with groups and/or individuals. 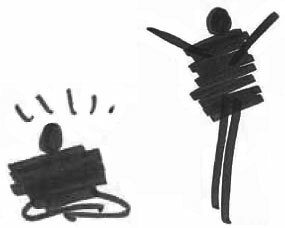 Knowing these skills open consciousness and support expansion of human beings in service of the planet (Go Planet!). I will miss you my friend … I will continue to teach ‘Jim Channon’ people and tell the next generation of GR/GF types coming up about you and your innovative work. You have influenced SOOOOOOOO many of us and I know you will continue to advise, guide and flirt from your new vantage point in the subtle realms. P.S. Those of you who are GaiaTV members can catch Regina Meredith’s interview with Jim here.